Here in this post, we are going to give you steps to start training venues leasing business. We hope you find this article informative and useful. Getting into the leasing business may be a sort of impossible thought; you may begin to wonder how one will even make money with such a business. You may be thinking that there is no way doing a training venue leasing business is actually impossible for you to make gains with it, but in this post I will confirm the fact that people make money with it. A lot of people are doing various training or the other in various locations on the different days. Some trainers or training organizers may not have their own hall or training centre to conduct any training, or they may be coming from another state or city to do a training program in another state or city and for this purpose they will need a training venue; this is where your business comes in. Sometimes it’s not necessarily just for training, you could have a nice and spacious hall for conference meetings or business proposal meetings. Going into this business is like having a side business apart from your main source of income. In various states there are businesses such as this and they actually operate well, it all depends on the type of hall you have and it’s facilities. This type of business is a business that yields profit at the long run, you may not start seeing the profits within 2years at most, but so far as you enjoy good patronage from a good number of people, within the space of two years, you will start seeing profits. There are certain things which you will have to do to make your own venue a more acceptable choice that others, putting these factors to use will help your business to be on the right track for profits. There still exist some opportunity to enter into this business and make some profits, as there are not too many people into the business, so a new entry will still be encouraged. 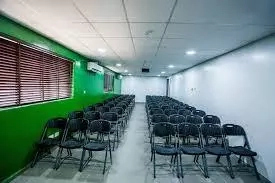 Also coupled with the fact that many people do not have their own venues for a business meeting, conference meeting or training venue, they will always look around for good training venues for rent. The business of renting or leasing space to people who provide training or hold meetings requires figuring out the target market. Even if you just want to rent out one of your office spaces to make extra money, you need to identify people willing to plunk down cash to rent the room. Once you identify your target market, you’re ready to promote your space and invite renters to book the space by the hour or day. Non-profit organization which do not have office spaces but wish to hold their training and meetings will look for a space to rent. 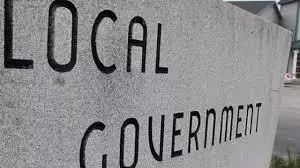 Corporations: Most big corporations may want to organize a board meeting and they may want to hold it outside the office complex, so they will be need to rent a training venue. Professional Trainers: Trainers who have no official training hall will be your target as they do hold most of their training sessions in rented facilities which are spacious enough to contain quite a good number of people. What will make your training venue stand out and always sought after is the facilities which you have. A training venue with an A.C unit will be more preferred than one with Windows and a ceiling fan. Getting a parcel of land in a particular location is required. Busy areas like Lagos, Ibadan, Onitsha, Owerri, Port Harcourt etc. are great cities to establish your business as the population and number of people doing businesses here are much. The main factor of this business is your building; this is your first step as this is what makes it a training venue business. Get your building erected to the standard you want to be. You will have to purchase land in a very busy area so as to get your customers close to you. After your building has been erected, you have to equip your venue with the necessary pieces of equipment. Most importantly are chairs. Get comfortable chairs. You may want to get some tables in case you have customers that will want to hold board meetings or conference meetings. So try getting roundtables. Also you will need to get a projector and generator in case of power outage. Having all these equipment make your training venue have its own standard. It would also have a positive influence on your pricing. Now this is the deciding factor of how you will make your money. There are ways to give out a fair price for renting or leasing a venue. You may decide to charge per hour or a day. It all depends on what you seem best for your venue standard. Most venues in Lagos charge#20,000 per day and some charge #4,000 per hour. It all depends on how you see the standard of your venue. And if your venue has all the necessary facilities that there won’t be any need for bringing tables or chairs, your prices will be higher than those that have none or few of the equipment. This is a way of making people know your business and how you operate and give them a chance to try you for their next event or program. Making use of all forms of media within the area that your business is established will help in informing people about your training venue. As the business goes on and you have a stable patronage, you may need to register your business with the corporate affairs commission so as to make it legally recognized. There is no need of much staff for this business; you may just hire a few hands to help you in arranging of the venue in case of any event already booked. And also cleaners can be hired at random for a fair amount. You are automatically the CEO/Manager of your business; as this would help you reduce some costs on payment of salaries. All you have to do is to hire some workers to clean up the place for you when an event is booked and also to clean and arrange it after the conclusion of the event. You can oversee the payments and also the operation of events. This is the best approach to real good profits from this business. Doing a training venue leasing business should be seen as a long term profit investment which will bring in profits enough to add to existing income or for sustainability. You can be getting patronage on a weekly basis which is perfectly good for business and within a period of 4years, your earnings will be definite. You should consider this business.